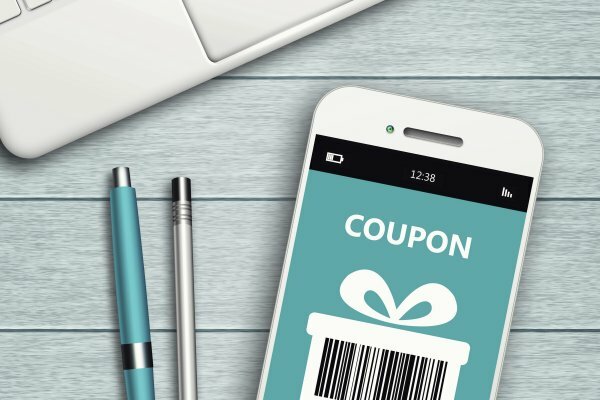 With bargain hunting now a national pastime and a change in consumer attitudes to discounts and offers, brands are having to structure promotions and offers in new innovative ways. Today it seems everyone loves a bargain. Since the recession, UK consumers have become dedicated to comparing prices and reading reviews. The new bargain hunter is not only looking for the best price, they are looking to be entertained whilst they carry out their search. Rather than having to hide one’s haggling, securing the best deal is now accepted, and even admired by fellow consumers. It has become more than just saving money, it has become the latest game. With 28% of shoppers considering online shopping a form of entertainment, retailers are increasingly turning to gamification to provide an engaging and fun promotional experience. Defined as “the application of typical elements of game playing (e.g. point scoring, competition with others, rules of play) to other areas of activity” gamification is fast gaining popularity as an online marketing technique to encourage engagement with a product or service. Following the 26th consecutive month of price drops and with more affluent groups now taking pride in finding bargains, it’s no surprise that supermarket giants Marks & Spencer and Waitrose are trying to create new ways to extend relationships and craft longer-term engagement with customers. M&S have introduced a card-based scheme called Sparks, which rewards loyalty with tailor-made offers, priority access to season previews and exclusive invitations to events and experiences. By collecting Sparks, customers can unlock new personal offers based on their shopping habits and favourite products. Waitrose are also playing the long game with the ground-breaking ‘Pick Your Own Offers’ campaign. This scheme allows customers to pick their own deals with the guarantee of a fixed price discount at 20% for 10 items, every time they shop. The scheme works similar to a mini ‘everyday low price’ strategy, and Waitrose also claim it will create supplier loyalty and champion brands as customers select their favourites. This gamified approach to loyalty drives more value than the occasional purchase of heavily discounted goods. By collecting genuine, actionable intelligence about consumers – how much they spend, what they buy, when they buy it etc – brands can create a smarter CRM, and seek to encourage and reward customers on an on-going basis by delivering genuinely personalised rewards. Drop ‘Til You Shop is another great example of bargain gamification. The platform is essentially a web-based version of the reverse auction TV channels that use falling prices as an incentive for phone shoppers. Tapping into the human desire to beat others to the chase, shoppers watch the prices of items fall until they freeze it at the price they want to pay. In order to win, customers have to do it before the stock runs out. That means bargain hunters need to hedge their bets – if they leave it too late they will miss out on a deal – which creates a hectic and competitive atmosphere. Increased access to online reviews, comparison websites, forums and social media platforms mean that businesses can no longer hide the way promotions and offers are structured, forcing them to be accurate, honest and transparent. With the early adopters of the bargain hunt game, Groupon and Wowcher, coming under fire from customers for the poor quality of products and reportedly exaggerated original price of items, the resultant crack down by the Advertising Standards Authority shows that the consumer ultimately holds the power in the brand-customer relationship. Gamification is an effective way of engaging and entertaining consumers in order to drive customer loyalty. It works because it leverages the motivations and desires that exist in all of us for community, feedback, achievement and reward. And while consumers see through any offers or rewards that aren’t genuine, delivering meaningful rewards enables businesses to create true loyalty.